One notices a return to mystery, and to adoration and the sacred, and to the cosmic and eschatological nature of the liturgy. To this, the Oxford Declaration on the Liturgy of 1996 bears witnesses. On the other hand one has to admit that the celebration of the ancient liturgy was too lost in the realm of the individual and the private. One must admit that the communion between the priest and the faithful was lacking. I have great respect for our ancestors who during the Low Mass, said the prayers “during Mass” which their prayer book recommended. Certainly one cannot consider that as the ideal of the liturgical celebration! Perhaps, these reduced forms of celebration are the fundamental reason why the disappearance of the ancient liturgical books had no importance in many countries and caused no pain, There was never any contact with the liturgy itself. On the other hand, where the liturgical movement had created a certain love for the liturgy, where this movement anticipated the essential ideals of the Council -for example the prayerful participation of all at the liturgical action- there was a greater pain at the liturgical reform undertaken too much in haste and limiting itself often to externals. Where the liturgical movement never existed the reform did not -it first pose a problem. The problems arose in a spasmodic way where a wild creativity made the sacred mystery disappear. This is why it is so important to obey the essential criteria of the Constitution on the Liturgy, which I cited above, even if one celebrates according to the Ancient Missal. At the moment when this liturgy truly touches the faithful by its beauty and depth, then it will be alive and there will be no irreconcilable opposition with the new liturgy -provided that these criteria are truly applied as the Council wished. Professor Bernt T. Oftestads avskjedsforelesning kan nå i sin helhet leses på document.no – SE HER. Fra tirsdag til lørdag denne uka er jeg på en liten retrett hos prestevenner (i FSSP) i Sveits, det meste av tida i Lausanne – samt en dagstur til Fribourg. Noen rolige dager, med tid til bønn, messefeiring, og samtaler om teologiske og liturgiske spørsmål. The alarm of which we have spoken is so great, I think, because one is contrasting two forms of celebration with two different spiritual outlooks. One is contrasting two different ways of perceiving the Church and Christian existence. The reasons for this are several. Firstly, one judges the two liturgical forms by their exterior elements and arrives at the conclusion that there are two fundamentally different outlooks. That the new liturgy be celebrated in the vernacular, facing the congregation and that there be great leeway for creativity and the active exercise of roles by the laity, is considered essential by the average Christian. On the other hand, it is deemed essential that the old liturgy be in Latin, the priest face the altar, that the rite be strictly controlled and that the faithful follow the Mass by praying privately without having an active role. From this view appearances and not what the liturgy itself considers important, are essential for a liturgy. One must realize that the faithful understand the liturgy from visible concrete forms and that they are spiritually impregnated by them and that the faithful do not penetrate easily the depths of the liturgy. The contradictions and oppositions which we have enumerated do not come from either the spirit or the letter of the Council documents. The Constitution on the Liturgy itself does not mention at all celebration facing the altar or the congregation. On the matter of language, it says that Latin must be conserved while at the same time giving the vernacular a larger role, “especially in the readings, the directives and in some prayers and chants” (SC 36:2). 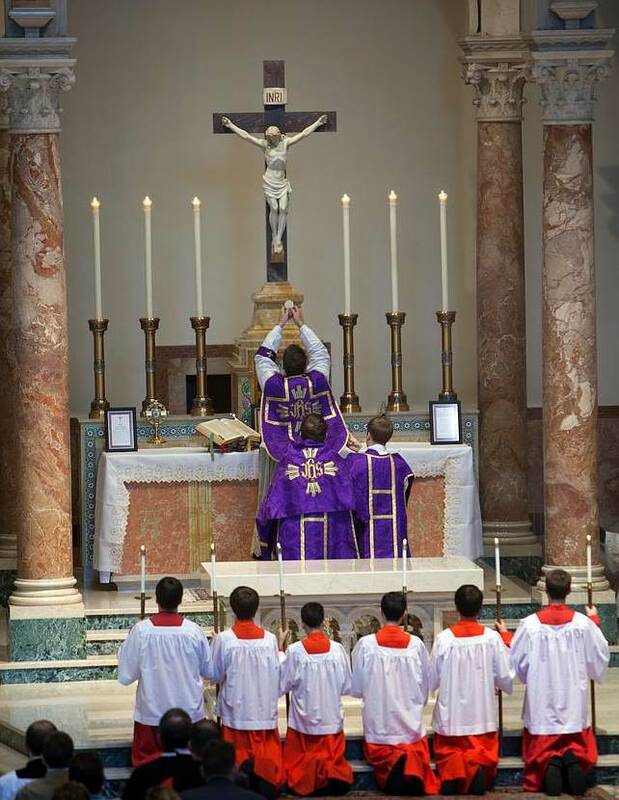 As to lay participation, the Council insists firstly and generally, that the liturgy is essentially the business of the entire Body of Christ, Head and members, and so it belongs to the entire Body of the Church “and it is consequently intended to be celebrated in community with the active participation of the faithful.” And the text makes clear that “in liturgical celebrations, everyone one, minister or faithful, in fulfilling his function, does only and fully what belongs to him by virtue of the matter and the liturgical norms” (SC 28). “To promote active participation, one will encourage the acclamations of the people, their responses, the chant of the psalms, antiphons, canticles and other actions and gestures and bodily positions. One will observe a holy silence in its time” (SC 30). Here then are, the Council directives. They can give everyone matter for reflection. There is unfortunately a tendency, amongst some modern liturgists, to develop the ideas of the Council in one direction. One overturns the intentions of the Council, acting in this way. The role of the priest is reduced by some to the purely functional. The fact that the entire Body of Christ is the subject of the liturgy is often deformed to the point where the local community becomes the self-sufficient subject of the liturgy and it allots the various roles. There also exists a dangerous tendency to minimalise the sacrificial nature of the Mass and to make the mystery and the sacred disappear under the so-called imperative pretext of making oneself more easily understood. Finally, one notices the tendency to fragment the liturgy and the unilateral emphasizing of its communitarian character by giving the assembly the power to decide about the celebration. One must examine the other argument which pretends that the existence of two rites can fracture unity. One must distinguish, here, the theological from the practical side of the question. Theologically and fundamentally one has to realize that several forms of the Latin Rite have always existed and that they retreated but slowly only as Europe was unified. Up to the Council, there existed alongside the Roman Rite, the Ambrosian Rite, the Mozarabic Rite of Toledo, the Rite of Braga, the Rite of the Carthusians and the Carmelites and the best know the Dominican Rite; and perhaps other ones which I do not know. Nobody was ever scandalized that the Dominicans, often when present in parishes, did not celebrate like parish priests but rather had their own rite. We had no doubt that their rite was both Catholic and Roman. We were proud of the richness of having several rites. The free space which the new order of Mass gives to creativity it must be admitted, is often excessively enlarged. The difference between the Iiturgy with the new liturgical books, as it is actually practiced and celebrated in various places is often much greater than the difference between the old and new liturgies when celebrated according to the rubrics of the liturgical books. An average Christian without special liturgical formation would be hard pressed to distinguish a Sung Mass in Latin according to the Old Missal from a Sung Mass in Latin celebrated according to the New Missal. The difference, by contrast, can be enormous between a liturgy faithfully celebrated according to the Missal of Paul VI and the concrete forms and celebrations in the vernacular with all the possible freedom and creativity! With these considerations we have already crossed the threshold between theory and practice where matters are naturally more complex since the question of human relationships arises. The two most often heard are the lack of obedience to the Council which reformed the liturgical books and the rupturing of unity which must necessarily follow, if one allows other different liturgical forms to continue. It is relatively easy to refute in theory these two arguments. The Council itself did not reform the liturgical books but rather ordered their revision. To that end it laid down some fundamental rules. Primarily the Council defined what liturgy is and this definition gives valid criteria for every liturgical celebration. If one wishes to scorn these essential rules and to put aside the normae generales which are bound at numbers 34 to 36 of the Constitution “De Sacra Liturgia”, then one violates obedience to the Council! One must judge liturgical celebrations, whether they be according to the old or the new liturgical books, based on these criteria. It is good to remember here what Cardinal Newman realized when he said that the Church in all her history has never abolished or defended orthodox liturgical forms (forms which express the true faith) which would be totally foreign, to the spirit of the Church. An orthodox liturgy (a liturgy which expounds the true faith) is never a compilation drawn up according to the pragmatic criteria of diverse ceremonies, of which one can dispose positively and arbitrarily, this way today, that way tomorrow. The orthodox forms of a rite are living realities, born of the dialogue of love between the Church and Her Lord. They are the expressions of the life of the Church where the faith, the prayer and the very life of generations is condensed and where at same time the action of God and the response of man is enfleshed in a concrete form. If the subject which has borne certain rites historically disappears or if the subject is transplanted into another environment, these rites can perish. The authority of The Church can define and limit the use of rites in different historical situations. She never forbids them purely and simply! The Council, therefore, ordered a reform of the liturgical books but it never forbade the previous books. The criterion which the Council enunciated is both vaster and more demanding. It invites everyone to self-criticism! We will return to this point. … Not too long ago, I attended an Ordinary Form of the Mass where the priest was facing away from the congregation during the consecration. Of course, that was the normal practice prior to Vatican II. But I had never experienced it. In the Ordinary Form of the Mass today, the priest faces the congregation the whole time. I know there are theological reasons to support both practices. And my point here is not to argue them or to say that either is objectively “better.” All I want to say is that when the priest held up the bread and wine and offered them up to the Father as the Body and Blood of His Son, I experienced Mass in a different way than ever before. Les hele denne beskrivelsen her. Jeg har i det siste lest flere ganger gjennom et kort foredrag kardinal Ratzinger holdt 24. oktober 1998; 10 år etter at at pave Johannes Pauls motu proprio om den tradisjonelle messen: Ecclesia Dei ble utgitt. 1 Den tradisjonelle liturgien etter 1988 – gleder og problemer. The different communities born from the pontifical document – Ecclesia Dei – have given the Church a great number of priestly and religious vocations, zealous, joyful and profoundly united to the Pope, to serve the Gospel at this era in history, our era. Through them many faithful have been confirmed in their joy to be able to live the liturgy and in their love for the Church where may be they have found the two. In several dioceses -and their number is not so small- they serve the Church in collaboration with the Bishops and in a brotherly way with the faithful who feel at home in the renewed form of the new liturgy. All this cannot but urge us to gratitude today! 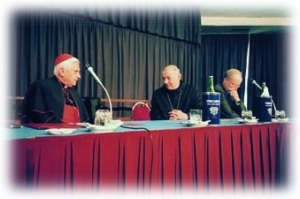 In many places difficulties persist and continue to persist, because bishops as well as priests and faithful consider this attachment to the ancient liturgy an element of division, which only troubles the ecclesial community and gives rise to suspicions about a conditional acceptance of the Council and more generally suspicion about obedience to the legitimate Pastors of the Church. We must now ask the following question: how can these difficulties be overcome? How can one build the necessary confidence so that these groups and communities which love the ancient liturgy may be able to be integrated peacefully into the life of the Church? But there is another question underlying the first: What is the deep reason for this scorn or even refusal of the continuation of the ancient liturgical forms? In this matter certainly, it is possible that reasons exist anterior to any theology – reasons which originate in the characters of individuals, which originate in the opposition of different characters or originate even other completely external circumstances. It is certain, however, that there are also more profound reasons which explain these problems. Vær hilset, kors, det eneste håp. Dette mottoet bunner i den kristne grunnerfaring at korset – all lidelse og elendighet, det meningsløse og det absurde – ikke er den endelige sannhet om tilværelsen. Bildet er av den ennå uferdige portalen i Hylland munkelyd i Tinn i Telemark. Korset er en kopi av Borgund-korset og er bemalt med gull. Det lyser mot alle som ser opp mot det. I årenes løp har jeg holdt en rekke foredrag og skrevet artikler om ulike emner som jeg ønsker å gjøre tilgjengelig her. Samtidig er det en anledning til å lufte tanker om dagsaktuelle emner og henvise til lesverdige kommentarer. Som mange bloggere (bl.a. p Arnfinn og p. Arne Marco) bruker hun WordPress på wordpress.com. Selv bruker jeg som kjent også WordPress, installert på eget domene. den gode sæd har båret frukt i fjerne verdens egne. … Det statssekretæren eigentleg seier, er berre at fastlækjaren må gjera som staten seier. Staten har fastsett at fastlækjarane skal visa ein vidare til abort. Då må dei òg gjera det, for det er staten eller det offentlege som er arbeidsgjevaren deira. Vil dei ikkje det, må dei finna seg anna arbeid. I denne etisk og filosofisk vanskelege saka læst staten som om det berre dreiar seg om eit enkelt tenestetilhøve, der staten er herren og lækjaren knekten. … med dette utspelet vil staten sortera vekk eit lite, men av prinsipielle grunnar viktig lækjarmiljø. Lækjarar som dreg konsekvensen av kristentrua si, skal no ut av det offentlege helsestellet eller i alle fall stuvast vekk til mindre attraktive stillingar. På sikt vil dette leia til at menneske med «upassande livssyn» alt i ungdomen vel bort medisinstudiet, fordi dei veit at dei elles kan hamna i ein umogeleg samvitskonflikt. Aftenposten ringte tirsdag og ville gjerne ta bilder av Oslos “barcode” fra (det flate) taket av St Hallvard kirke – som en del av en diskusjon om disse bygningene er blitt fine eller forferdelige. Resultatet ser man til høyre under. Medlemmer av det engelske ordinariatet er denne uka på sin pilegrimstur til Roma, ledet av Msgr. 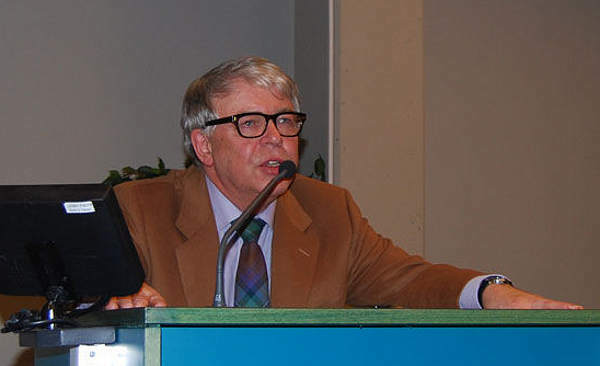 Keith Newton, for å takke pave Benedikt. Here is a surprising fact about the Gregorian propers for Sunday during Lent: they mostly explore major keys. … (The chants) mode 8, which might be regarded as the lightest and most elevated, the most song-like, of all the modes. That chant is anything but dreary. … Perhaps the Gregorian tradition is reminding here that while Lent is a penitential season, Sunday does in fact remain a feast day – a real break in the fast. It is a mistake to try to cram the whole of the Lenten spirit into the Sunday Mass. Quinquagesima Sunday was the occasion for the first Solemn Mass in the Extraordinary Form sponsored by the Diocese of Trenton since the restoration of the Traditional Mass. Approximately 650 people filled the Church of St. Anthony in Hamilton, NJ. A large romanesque structure, complete with a vaulted coffered ceiling, the original polychromatic marble altar in ciborium, with heavy mosaic. Located within the neighborhoods of the state capital, St. Anthony’s is one of the most beautiful and historically significant churches in the Diocese of Trenton, built as a Franciscan parish in the mid-20th Century. Søndag 26. februar kl 19.00 feires den tradisjonelle latinske messen igjen i St Joseph kirke i Akersveien. Denne dagen feires første søndag i fasten. Se messens bønner og tekster (på latin og norsk) HER. Kong Harald: Gratuterer med dagen! 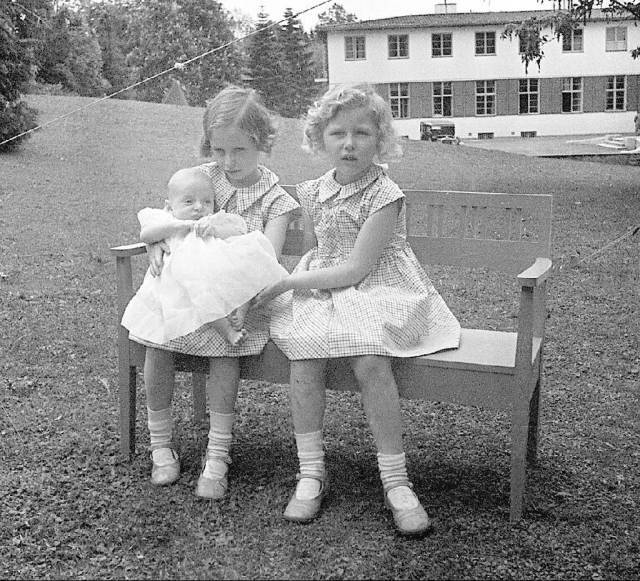 Jeg slutter meg til gratulantene i dag når vår konge fyller 75 år, og tar med et bilde fra Vårt Lands nettsider: Det viser prins Harald ca seks måneder gammel, sammen med prinsesse Ragnhild (tv) og prinsesse Astrid. Vi har lest at kongen ikke ønsker å feire dagen offentlig, men jeg husker da dronning Sonja feiret sin 70 års-dag ganske så offentlig i Stavanger sommeren 2007, og jeg deltok på en takkegudstjeneste i domkirken i Stavanger. På en i tok Jesus de tolv til side og sa til dem: “Se, vi går opp til Jerusalem, og alt det skal fullbyrdes som profetene har skrevet om Menneskesønnen. For de skal overgi ham til hedningene, og de skal spotte ham, hudflenge ham og spytte på ham. Og når de har hudflengt ham, skal de slå ham i hjel, og han skal stå opp igjen den tredje dag.” Men de forsto ikke noe av dette, og meningen, med disse ord var dulgt for dem, og de skjønte ikke det han sa. Da de nærmet seg Jeriko, hendte det at det satt en blind mann på veien og tigget. Og da han hørte folket gå forbi, spurte han hva det var. De svarte ham at Jesus fra Nasaret gikk forbi. Og han ropte og sa: “Jesus, Davids sønn, miskunn deg over meg!> Og de som gikk foran, truet ham at han skulle tie; men han ropte desto mer: “Davids sønn, miskunn deg over meg!” Da stanset Jesus og bød at han skulle føres til ham. Og da han kom nærmere, spurte han ham og sa: “Hva vil du jeg skal gjøre for deg?” Han svarte: “Herre, at jeg må bli seende.” Og Jesus sa til ham: “Bli seende. Din tro har frelst deg.” Og straks fikk han sitt syn igjen, og han fulgte ham og priste Gud; og alt folket som så det, lovet Gud. Homily by Pope St Gregory the Great – 2nd on the Gospels. Our Redeemer, foreseeing that the minds of His disciples would be troubled by His suffering, told them long before both of the pains of that suffering, and of the glory of His rising again, to the end that, when they should see Him die as He had prophesied, they might not doubt that He was likewise to rise again. But, since His disciples were yet carnal, and could not receive the words telling of this mystery, He wrought a miracle before them. A blind man received his sight before their eyes, that if they could not receive heavenly things by words, they might be persuaded of heavenly things by deeds. Det er i dag, 18. februar, at Bernt Oftestad fyller 70 år – mens avskjedforelesningen var i går. Gratulerer med dagen! Vårt Land har i dag et intervju med ham (ikke på nett så langt jeg kan se), med overskrifta: Ingen kompromissets mann. Jeg tar med litt av dette intervjuet under. Jeg finner det interessant bl.a. siden jeg selv mistet jobben da jeg ble katolikk (jeg sa jo selvsagt opp selv i forkant, siden jeg var luthersk prest), og jeg kom også inn i Den katolske Kirke i Norge som mer konservativ enn flertallet. VL: Du ble fratatt professortittelen og stuet vekk i arkivet i kjelleren på Menighetsfakultetet? 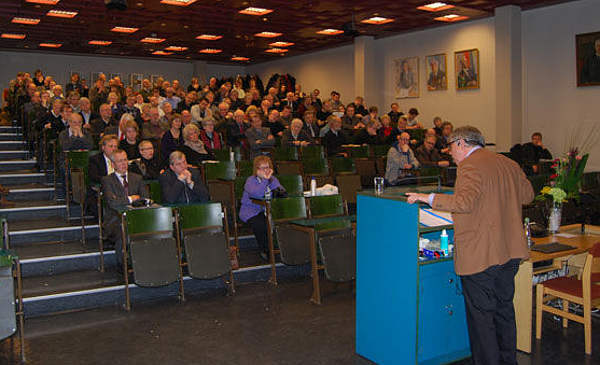 Jeg konverterte i år 2000, og søkte med utgangspunkt i Kirkeloven MF om dispensasjon fra konfesjonskravet for professorer. Det sa MF nei til. Jeg ble fratatt professortittelen, men siden jeg hadde jobbet så lenge der, kunne de ikke sette meg på gata. Men jeg kunne flyttes til andre oppdrag. Jeg beholdt min lønn, men ble satt på sidelinjen til arbeid i arkivet. Det var et poeng at jeg skulle isoleres fra studentene, og verken ha undervisning eller veiledning. Studentene skulle ikke bli påvirket av min katolske tro. Hvordan påvirket dette ditt forhold til Menighetsfakultetet? Ikke så voldsomt mye, faktisk. jeg fikk god tid til å pusle med i og for seg interessante ting. Det skjedde jo en del pussig, men jeg hadde gjort et valg: Jeg oppga min professorstilling for å bli katolikk. Jeg var forberedt på at dette ville bli konsekvensen. Var det så viktig for deg å bli katolikk? Ja, et oppbrudd var nødvendig. Det hadde jeg visst siden slutten av 80-tallet. MF har forandret seg i årenes løp, men jeg har forandret meg mer. … Trodde du at det ville bli som å komme til himmelen da du ble medlem i Den katolske kirke? Som kirkehistoriker vet jeg mye om menneskelig skrøpelighet og hvordan kirker fungerer. Det er mennesker, konflikter og ondt blod overalt – ikke mist i Den katolske kirke og i dens vesle avdeling i Norge. Kjell Arild Pollestad, den mangeårige pateren og suksessforfatteren, ble for et par år siden intervjuet av Viggo Johansen i NRK. Pollestad sa at «Den katolsk kirke er blitt et asylmottak for reaksjonære lutheranske prester fra Den norske kirke». Var det deg han siktet til? Hva sa Oftestad virkelig – om Utøya? Jeg nevnte tidligere i dag professor Bernt T. Oftestads avskjedsforelesning på MF i går, og trakk fram et underlig oppslag i Vårt Land om dette – underlig fordi de trakk fram ett utsagn helt utenfor sin kontekst. Oftestad skal i sitt foredrag ha “Sidestilt Utøya med forfølgelse av kristne,” mener journalisten. Jeg ser at noen nettsteder har tatt opp dette på en nokså sensasjonell måte, men jeg håper inderlig at en slik reaksjon ikke sprer seg. … Oftestad spurte hva det sekulære trossystemet har å tilby som erstatning for det limet og de felles moralreglene som kristendommen kunne by på i det før-sekulære samfunnet. Han kunne ikke finne noe. Menneskerettighetene er internt selvimotsigende, og har absolutt ikke den kraften og dybden som trengs. Sekularismens frihetsidealet undergraver verdifellesskapet, mente han. Det beste han greide å komme på som ny, sekulær verdi er ”kjærligheten”. I det grundige referatet er Vårt Lands sitat ikke direkte nevnt, derimot at Oftestad så reaksjonene etter Utøya-massakren som et eksempel på hvordan en ikke-religiøst “religion” ikke klarer seg så godt i prøvelsens tid. Og han så det som skjedde på Utøya i forhold til “deportasjonen av jøder under andre verdenskrig” og at “det dør flere kristne i terroraksjoner rundt om i verden”. Oramus te. Domine, per merita Sanctorum tuorum, quorum reliquiæ hic sunt, et omnium Sanctorum: ut indulgere digneris omnia peccata mea.